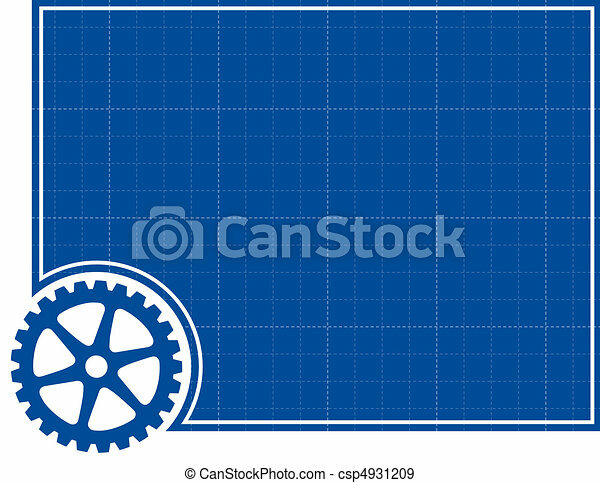 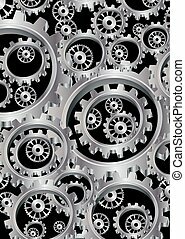 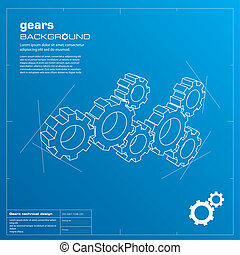 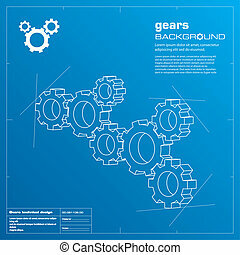 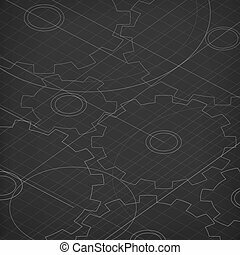 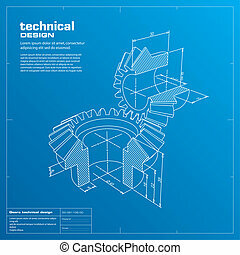 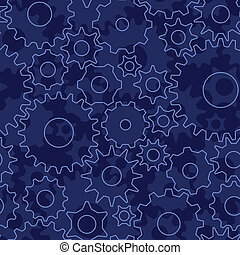 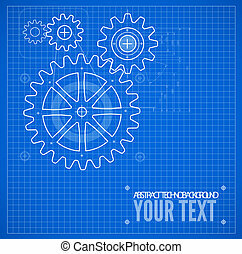 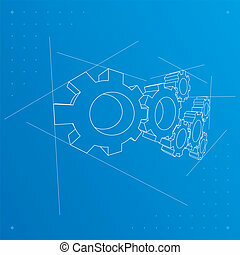 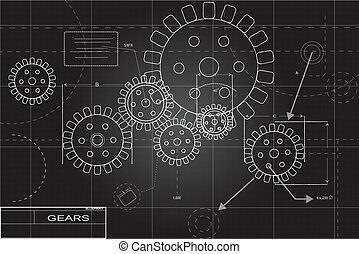 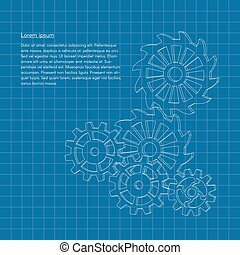 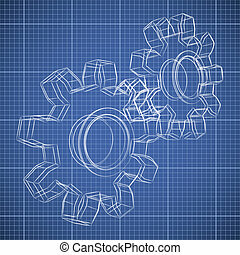 Gears blueprint vector illustration. 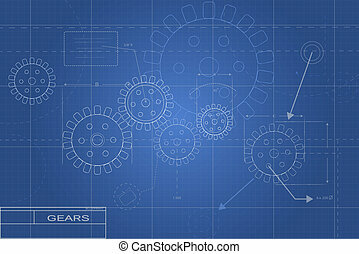 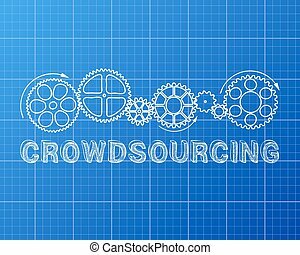 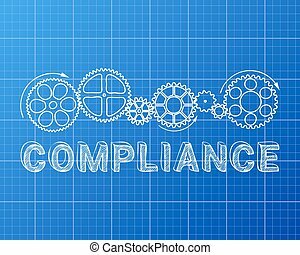 Solution, teamwork, technology...concepts. 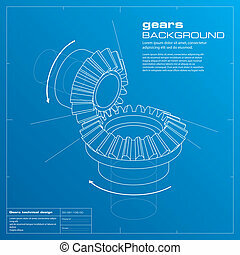 3D gear wheel sketch drawing on blueprint background.